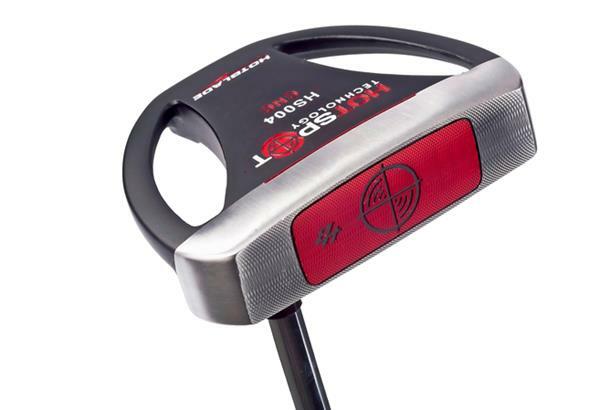 The Hotblade Hotspot 004 mallet putter features a 431 stainless steel head with a CNC milled anodised aluminium face insert. The putter has a deep central weight channel with tri line alignment for ease of use and a two tone head for high visibility alignment aid. It also features a discretional peripheral weight placement sole to optimise MOI.